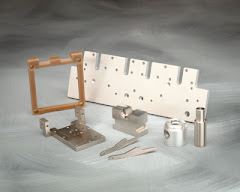 3-D CNC, Inc. is a precision technology leader in the manufacture of precision tooling component parts and assemblies. Several of our best customers design and build high-end automation equipment and depend on 3-D CNC, Inc. to manufacturing their most challenging parts. 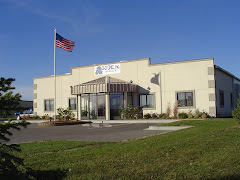 Technical expertise such as knowing material characteristics/reaction to machining and manufacturing processes to expertise in part fixturing and holding techniques to operator/toolmaker excellence with manufacturing processes allows 3-D CNC, Inc. to handle close tolerance ultra-precision work. Another important factor is our ability and knowledge in measurement and inspection of close tolerance parts and assemblies. 3-D CNC, Inc. is one of a few contract manufacturing shops nationwide who owns an Agie Vertex 2F wire EDM machine. We did extensive capability studies looking at profile accuracy and surface finish attributes. The Vertex outshined both Mitsubishi and Charmilles. We have owned both Charmilles and Mitsubishi machines in the past, so we were not biased in any way. We have seen surface finishes under 10 RMS on carbide punch component parts. Profiles have been held on thicker parts in the 4" thickness and above range to within .0001". The one dissapointment is the technology available with the machine to use the small wire capabilities. You have to write this technology as you go, so many new applications require up front R & D work. Fortunately, 3-D CNC, Inc. has very accomplished wire EDM operators who can write this technology. To date, we have had excellent results with a variety of materials and thicknesses using the small .0012" diameter wire. Come visit again real soon!! !